This is Part 1 of a 3-part series. Click here to read Part 2 and Part 3. Researchers gathered in Santa Fe, New Mexico, 4-7 February 2013 for the Keystone Symposium “New Frontiers in Neurodegenerative Disease Research.” Whether sipping wine in the poster hall or mingling at a concurrent symposium on neurogenesis, scientists who study different conditions found common ground in their focus on decaying neurons. The changing genome stood out as an emerging theme, noted co-organizer Li-Huei Tsai of MIT. Researchers are looking beyond the simple sequence of inherited genes to what physically happens to those genes throughout life. In one session, Tsai and other researchers discussed the disintegration of the genome in degenerating neurons. Single- and double-stranded breaks in DNA appear in neurodegenerative diseases, including Alzheimer’s, amyotrophic lateral sclerosis (ALS), and the childhood neurodegenerative syndrome ataxia telangiectasia. Moreover, key proteins in those diseases—amyloid precursor protein (APP), fused in sarcoma (FUS), and ataxia telangiectasia mutated (ATM), respectively—somehow influence DNA repair or the response to DNA damage, speakers reported. Neurons confront a unique challenge, Tsai said in her presentation, because they don’t divide, and therefore must keep their DNA whole. At the same time, neurons are subject to a barrage of reactive oxygen species that chemically nick DNA strands. “Our genome is constantly attacked,” Tsai told Alzforum. Because neurons are so essential, they must survive even if their DNA is damaged. “The inability to replace these cells puts a mandate on their preservation,” said speaker Bruce Yankner of Harvard Medical School. Young neurons repair DNA damage, but neurons beset by old age, mutations, or other disease risk factors cannot keep pace with the mounting injuries, Tsai suggested. “There is growing evidence supporting the idea that DNA damage is an early event in neurodegenerative disease,” commented Eric Huang of the University of California, San Francisco, who attended the meeting. “Evidence of DNA damage can be detected in neurons in AD, PD, and ALS patients,” he said. Yankner has found that as people age, they accumulate oxidative DNA damage, particularly in the hippocampus (see ARF related news story on Lu et al., 2004). In AD brains, genomic blemishes such as double-stranded breaks are even more prevalent than in normal brains, Yankner said. Does this DNA damage contribute to aging and AD? To investigate the effects of DNA damage, Yankner’s team worked with mice lacking the gene for the DNA repair protein XRCC4 in their neurons and glia. The mice accumulate double-strand DNA breaks with age, but show no signs of neurodegeneration. They do, however, lose dendritic spines, particularly in the hippocampus. Yankner and Tsai collaborated to study synaptic plasticity in brain slices from these animals via electrophysiology. They discovered that the mutants were unable to sustain long-term potentiation—a marker of synaptic strengthening. The mice struggled to find the submerged platform in a water maze test of spatial memory. Unrepaired DNA damage pushes the brain towards faulty synaptic activity and cognition, Yankner said. How might that relate to AD pathology? To find out, the researchers crossed their XRCC4-null mice with the J20 APP model. The double mutants accumulated more DNA damage than the XRCC4 mutants, particularly in glia. They also lost neurons, mostly in the hippocampus, some in the cortex, and none in the cerebellum. This pattern is reminiscent of human AD pathology, Yankner said. He suggested that an APP mutation plus DNA damage might better reproduce the etiology of AD than the APP model alone. DNA damage due to the XRCC4 deletion might mimic the decades of attacks on DNA that are endured by older people but not short-lived mice. How does mutant APP exacerbate faulty DNA repair? J20 mice accumulate Aβ, widely accepted as the toxic entity in these models, but it does not seem to be the culprit here. Introducing a third mutation—loss of the Aβ-generating enzyme BACE1—did not relieve the phenotype. Yankner concluded that it was the mutations in APP itself, not the excess of processed amyloid-β fragments, that boosted DNA damage in the XRCC4/J20 double mutants. From that, he inferred that wild-type APP plays some role in DNA damage or repair, or in the cellular response to that damage. Hints to what that role might be came when the scientists analyzed genes expressed in the hippocampus of XRCC4-negative animals. They observed upregulation of a p53-led apoptosis pathway as well as neuroinflammation. Based on this observation, Yankner proposed a hypothetical model whereby full-length APP normally tempers the p53 damage response, preventing apoptosis in neurons and allowing them to still function or repair the damage. APP mutations reduce this protection and the neurons die. If Yankner’s model is correct, researchers suggested during the question-and-answer period, then crossing the XRCC4-negative mice with an APP knockout should also produce mice with DNA damage and neurodegeneration, just like the J20/XRCC4 double mutants. Yankner’s group is pursuing that idea now, he said. In previous studies of the DNA damage response, Tsai found that histone deacetylase 1 (HDAC1) promotes repair of double-strand breaks (see ARF related news story on Kim et al., 2008). To find other participants in that process, her group immunoprecipitated HDAC1 and associated proteins from mouse brain. To their surprise, one partner was FUS, which is mutated in familial ALS (see ARF related news story on Kwiatkowski et al., 2009, and Vance et al., 2009). As it turns out, researchers many years ago had discovered that chromosomes in mice lacking FUS are unstable (Hicks et al., 2000). The Tsai team found that cultured cells rapidly recruited FUS to sites of DNA damage. 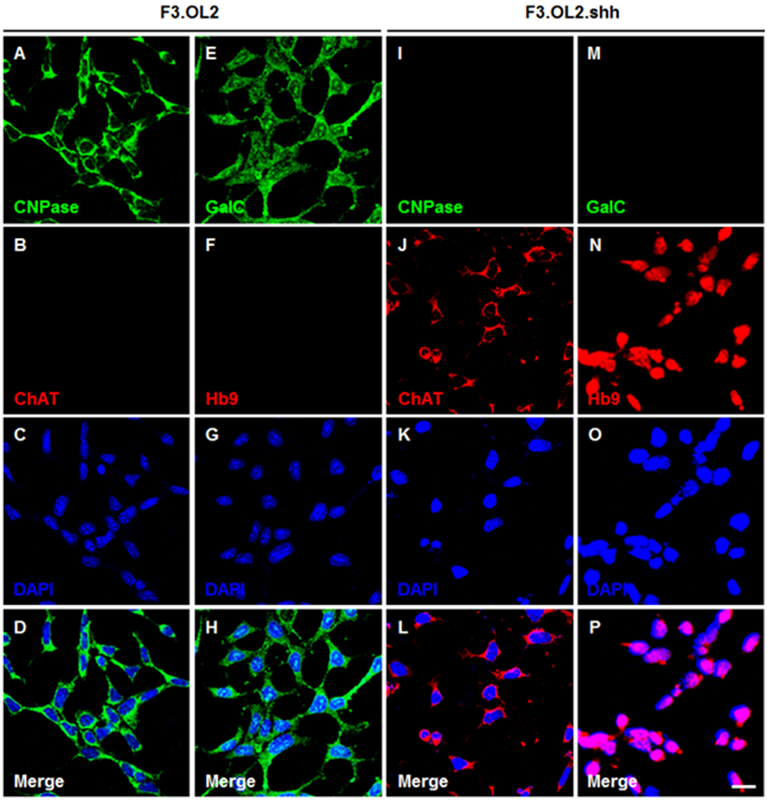 Challenging primary neurons with DNA-breaking chemicals enhanced the HDAC1-FUS interaction. Knocking down FUS in cell lines reduced DNA repair to almost nil, and ALS-linked mutations in FUS also impaired DNA repair and HDAC1 binding, Tsai said. Tsai collaborated with Huang to check if the results hold up in vivo. In a mutant FUS mouse his group bred, more DNA appeared damaged than in normal mice. The same occurs in people, it appears. The researchers observed more DNA damage in motor cortex neurons from a person who died of ALS caused by the same FUS mutation. “There is no doubt that human ALS patients harboring this mutation show profound DNA double-stranded breaks in their neurons,” Tsai said. This could be a factor contributing to neurodegeneration, with damage accumulating over a lifetime until neurons can no longer sustain their fragmented genome, she suggested. “I thought her study clearly demonstrated that FUS and potentially other ALS-associated proteins have a critical role in the DNA damage response, thus providing novel mechanistic understanding for how this protein causes disease, as well as opportunities for therapeutic intervention,” wrote Todd Cohen of the University of Pennsylvania in Philadelphia, who attended the meeting, in an e-mail to Alzforum. Peter McKinnon of St. Jude Children’s Research Hospital in Memphis, Tennessee, discussed not a disease of aging, but one of childhood. Despite its early onset, ataxia telangiectasia (AT) represents a “hallmark example” of a neurological disease caused by genomic instability, McKinnon said. This rare condition results from mutations in the kinase ATM, which attends to double-stranded DNA breaks. The disease affects multiple organs including the brain, blood vessels, and immune system, causing symptoms such as unsteady movement, cancer, and sensitivity to X-rays. Children are typically wheelchair-bound by the time they are five or six, McKinnon said. Progressive neurodegeneration starts in the cerebellum and spreads throughout the nervous system. McKinnon proposed that the problem in children with AT is an overabundance of DNA lesions bound to the enzyme topoisomerase 1. The isomerase unwinds supercoiled DNA, opening it up for transcription or replication. It acts by making a single-strand nick, so the DNA can untwist. Before that nick can be repaired, topoisomerase must vacate the spot, but in ATM-deficient mice, McKinnon’s group found that topoisomerase stuck fast to the genomic DNA. This occurred despite normal overall concentrations of topoisomerase in the mutant animals. McKinnon proposed that ATM normally prevents buildup of the enzyme topoisomerase on chromosomes. Without ATM, the isomerase sticks to nicked DNA. It not only prevents its repair, but also physically blocks transcription of nearby genes and interferes with DNA replication. The latter is particularly important during development of the nervous system, when cell division drives growth. When the DNA replication machinery hits one of those single-strand breaks, it could stall, truncating the daughter chromosome. That damage would promote apoptotic signals and cell death, McKinnon suggested. More generally, unrepaired DNA could lead to all sorts of problems such as mutations and altered transcriptional patterns, Huang suggested. While the precise mechanisms linking damaged DNA to cell degeneration remain uncertain, genomic damage appears to play a role in several neurodegenerative conditions. “During aging, perhaps the [DNA repair] machinery gets worn out, just as reactive oxygen species are ramping up,” Tsai said. Copyright © 1996–2013 Biomedical Research Forum, LLC. All Rights Reserved.